Provides same-day courier service throughout Southern California and nationwide through an affiliate network of courier companies. FAST and RELIABLE–24/7 Availability with online ordering and electronic updates. 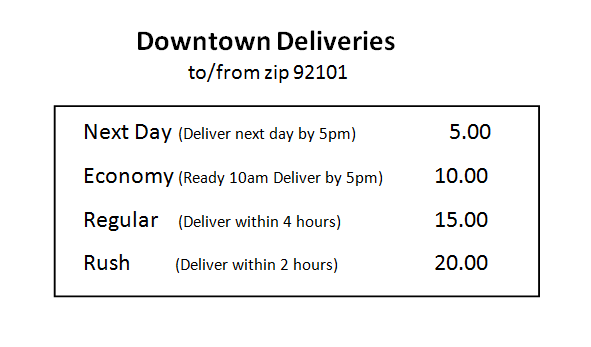 Bicycle messengers provide ten minute response time downtown. PERSONALIZED MESSENGER Your delivery is handled with personal care by one of our uniformed, experienced, dedicated couriers. Office hours are Monday through Friday, 8:00 A.M. to 6:00 P.M.
Air Courier – Same Day delivery across the Nation! Contact us to set up your personal access to our online order entry site.